Here are Mr. and Mrs. Leon - Wyatt and their son, Angus Richard, who is the world's youngest circus performer. 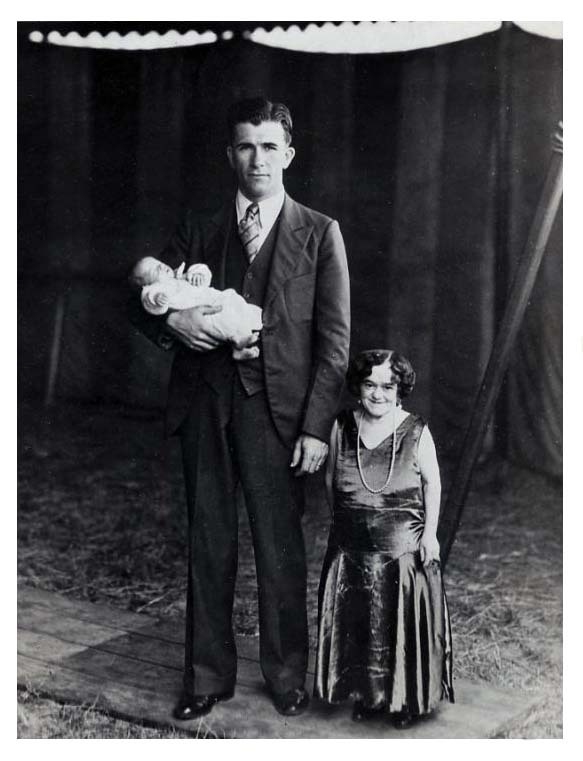 The mother, father and baby are in the sideshow of a circus playing fairs in Florida. The baby is five weeks old.